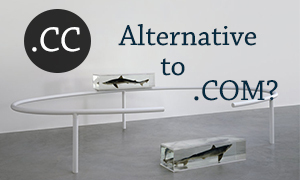 The .CC domain's growing popularity may open the door to new opportunities for commercial websites. The .CC extension is rather unusual and is not a match for .ME or .CO in the world of startups. However, despite being considered by many as a mere substitute of .COM due to some graphic similarities, the commercial interpretation of .CC offers interesting possibilities. Cocos Islands’ country code Top Level Domain can be used in the generic sense as an acronym for “creative commons” or “Catholic Church” or “cycling club”. The latter was successfully used by Blaze.cc to embrace all things related to cycling, thus it may be assumed it can also work for others. Even though .CC is still far from being .COM’s serious threat, with its potential of being seen as “commercial company” the domain is worth watching.